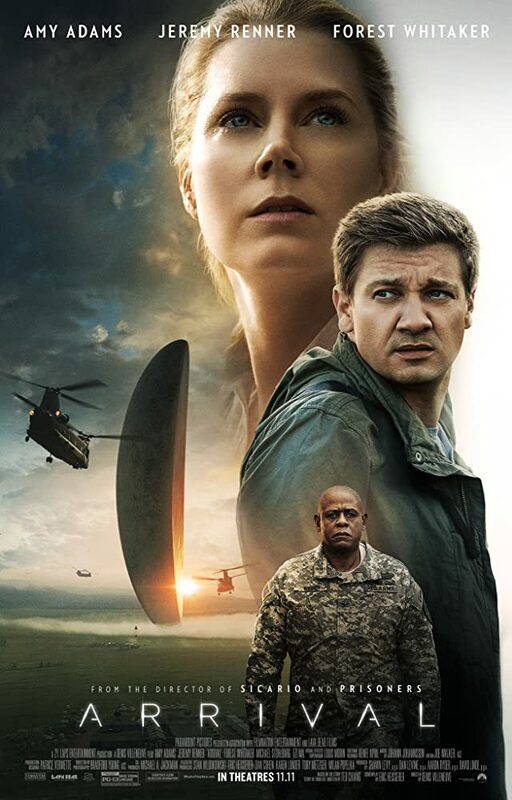 Amy Adams and Jeremy Renner in a Sci-Fi movie that pits aliens and humans in a frenzy to learn each others languages. Fail and its war and destruction; succeed and then "it's all good"! Interesting twists and turns. Do check out more on IMDB. Safe first date movie, even with the twist at the end.